Prof. Ying Cao is an Associate Professor of Accounting at The Chinese University of Hong Kong. 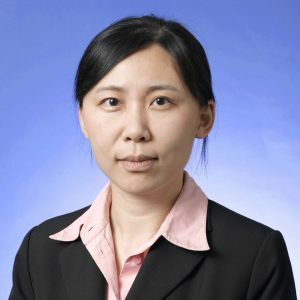 She earned her bachelor’s degree in accounting from Renmin University of China (1996), master’s degree in accounting from University of Illinois at Urbana Champaign (2001), and doctoral degree in accounting from Texas A&M (2007). She has published papers in Contemporary Accounting Research, Management Science, and Review of Accounting Studies. Prof. Cao currently serves on the Editorial Board of the Accounting Horizons and the International Journal of Accounting. Her research interests include corporate disclosure and financial reporting quality, managerial incentives and executive compensation, financial analysts, etc. Prof. Cao has taught financial accounting, auditing, and corporate governance to undergraduate and master students. She was a certified public accountant of China and worked at Deloitte Touch Tohmatsu LLP. Ying Cao, F. Guan, Z. Li, and George Y. Yang, “Analysts’ Beauty and Performance,” Management Science, forthcoming. Ying Cao, L. Myers, A. Tsang, and George Y. Yang (2016), “Management Forecasts and the Cost of Equity Capital: International Evidence,” Review of Accounting Studies. Ying Cao, D. Dhaliwal, Z. Li, and George Y. Yang (2015), “Are All Independent Directors Equally Informed? Evidence Based on Their Trading Returns and Social Networks,” Management Science, 61(4), 795-813. Ying Cao, James Myers, Linda A. Myers, and Thomas C. Omer (2015), “Company Reputation and the Cost of Equity Capital,” Review of Accounting Studies, 20, 42-81. Ying Cao, Linda A. Myers, and Thomas C. Omer (2012), “Does Company Reputation Matter for Financial Reporting Quality? Evidence from Restatements,” Contemporary Accounting Research, 29(3), 956-990. Ying Cao, Linda A. Myers, and Theodore Sougiannis (2011), “Does Earnings Acceleration Convey Information?” Review of Accounting Studies, 16(4), 812-842. Ad hoc reviewer for Management Science, Contemporary Accounting Research, Auditing, Corporate Governance An international Review, Journal of Business Ethics, Accounting and Finance, Accounting Horizons, China Accounting and Finance Review, CERG Funding Program of the HK Government, etc.